It is getting harder to reach your old customers and new ones every day. The average email open rates are roughly 20%, which means 8 out of the 10 people are ignoring you. Click rates are even lower, often under 4%. Customers are spending more time on the big social platforms than on your actual website. And when they see you on these platforms like Facebook, Twitter, and Instagram, only a tiny fraction of followers see your posts. The data shows that channels like social media, guest blogging, and email marketing that were once the BEST ways to get new customers… are no longer the most effective ways. So what channels should you use to market to customers that will not just be effective today, but be around for the next 5-10 years? The answer are Messenger Chatbots. Let me explain why. 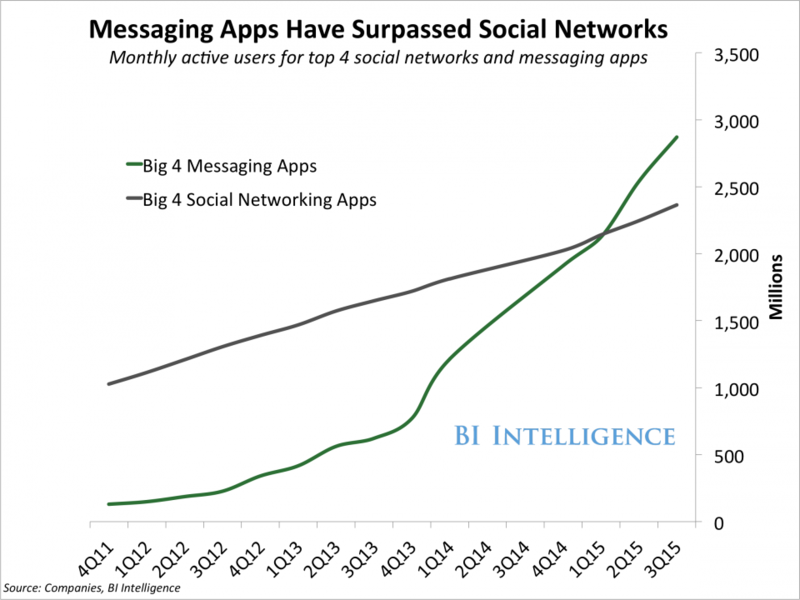 We believe marketing on messaging apps is the future. We believe in 2018, companies will slowly catch on and start doing marketing automation with Facebook Messenger. We believe in 2022, companies will have messenger bots on all platforms that are so sophisticated, they’ll be the preferred way for their customers to do business with them. They’ll replace the web and apps as the first touch points. They will replace email as the main form of communication to their customers. This trend is already happening. Look at how you talk to your closest friends, family and co-workers. You most likely use messaging apps like iMessage, FB Messenger, or Slack to talk to them. You actually like talking to them this way. It’s easy, fast, and more fun. These two graphs blew our mind. #1 – TechCrunch reported Facebook Messenger passed 1 billion monthly active users in July 2016. #2 – Business Insider reported the number of people on messaging apps surpassed the number of users on social networks. If you’re reading this, you’re probably a smart marketer looking for a better way to market to your audience. Marketing is simply finding out where your target market is, going there, and communicating how you can help solve their problem. It would be a huge mistake if you did not market to where your customers are and prefer to be. When I talk about marketing on Messenger, we are not talking about spamming people. This will be an easier way for your leads to opt in and get educational messages from you. Bots should be a great medium to teach in a fun and engaging way. You can use messenger bots to identify who your customers are in a few clicks within Facebook Messenger in less than a minute. You can’t get information that easily and quickly through email, social media, or an outside form. 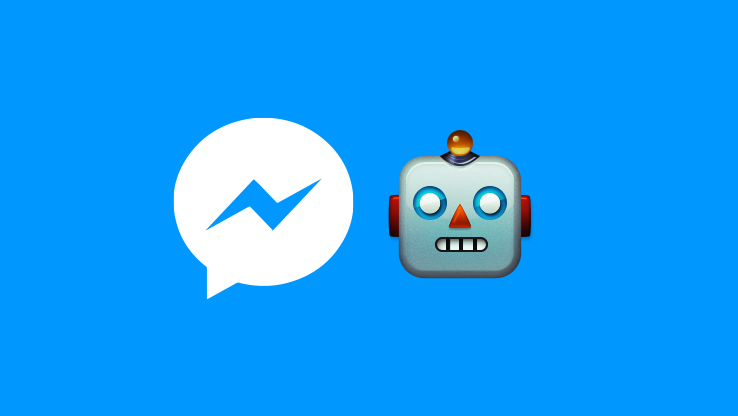 In April 2016, Facebook CEO Mark Zuckerberg announced open access to build chatbots within the Messenger app. The Facebook team is actively pushing users to create bots for themselves and businesses. 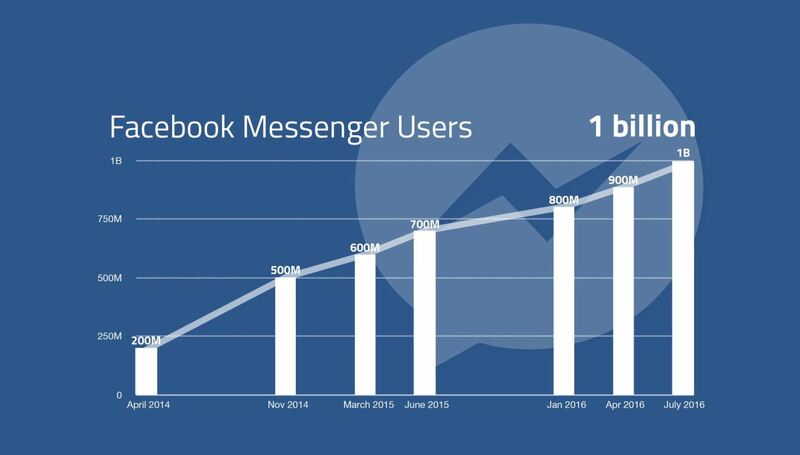 The 1 billion active monthly users on Facebook Messenger is more than a big enough market to start. Eventually it will be ideal to expand to other messaging apps to better reach your audience similar to how app developers create for both iOS and Android. 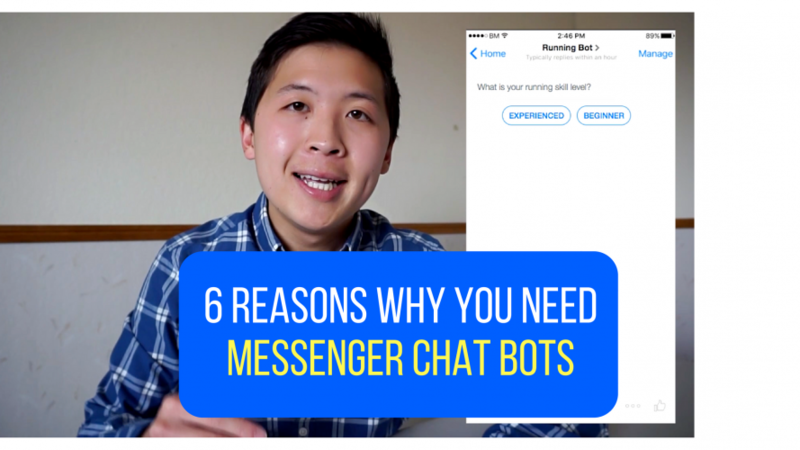 Reason #6 – We think in the future messaging bots will be able to handle natural language requests and could replace apps + web pages as the main form of communication with business. The ideal world would have messaging bots automating your marketing, sales, and customer service among many other things. But that future does not exist, yet. 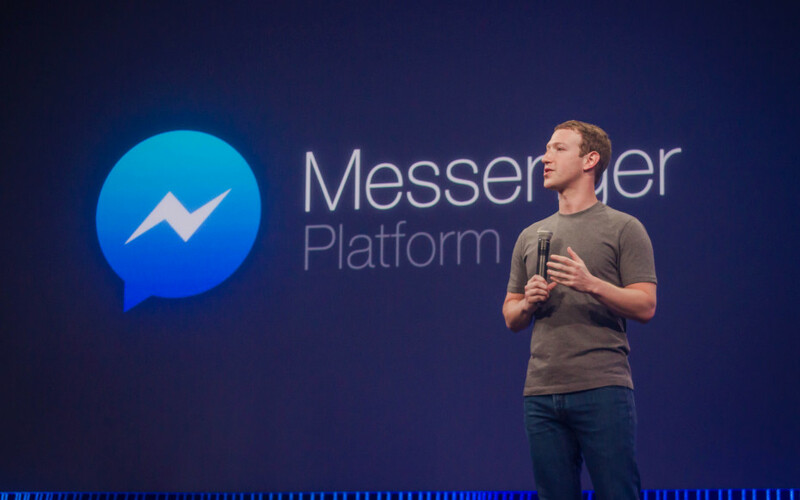 Facebook Messenger Marketing is the future and this is our chance to fill that missing void. In 2003 people were unsure whether email would be popular or not. Then came the early innovators or the 2.5% of people who seized the opportunity. They lived in the future, built what was missing, and now run multi-million (some billion) dollar companies. If you are a marketer or a founder, you can’t ignore chatbots in 2017. Now go build your first chatbot.